The government on Monday attacked Bharatiya Janata Party's criticism of Prime Minister Manmohan Singh's performance as 'distasteful' and exuded confidence of taking the economy out of the present 'trough' and back to high growth. "I think the most charitable way to describe that comment is extremely distasteful. "I wonder what he (BJP spokesperson Ravi Shankar Prasad) said when he read the article on (former Prime Minister Atal Bihari) Vajpayeeji in June 2002," Home Minister P Chidambaram said. He was reacting to BJP's demand for the resignation of the Prime Minister following Time magazine's description of him as an 'underachiever'. Referring to a Time magazine write up in 2002 after the Gujarat riots that was critical of the then Prime Minister Atal Bihar Vajpayee, Chidambaram asked BJP leaders not to make too much of magazine articles. Commenting on the Time magazine's latest article, the Home Minister said the United Progressive Alliance-II was confident that it would overcome the present economic situation. 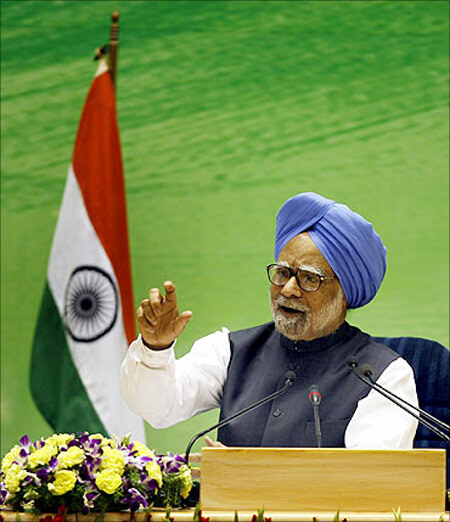 Image: Prime Minister Manmohan Singh. "Short answer to your question can PM rouse himself ? Answer is yes. This government will get India out of the present trough. 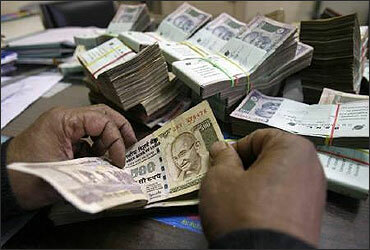 We will get back to high growth. . .That is the answer to the Time Magazine article," he said. 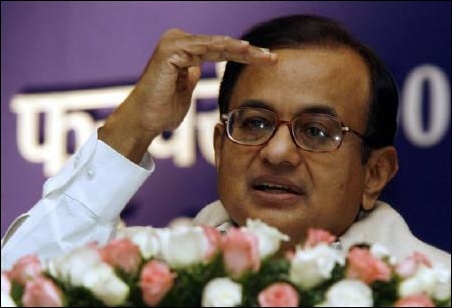 Chidambaram said the magazine also recalled the splendid achievement of UPA -I. ". . .then (the magazine) said in UPA-II, can the Prime Minister rouse himself ? "The answer is of course. "We are confident that we will get out of this trough and we will get back to the high growth", he said.